A 42 yr old, white, female presented for evaluation of #22. She was asymptomatic, with a prior RCT on #22. A large nodular, irregular, radiopacity found within a large radiolucent area on the periapical radiograph. 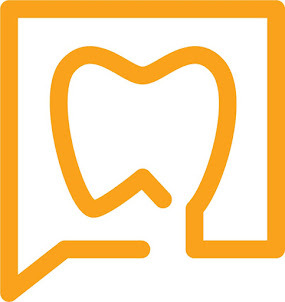 Tooth is normal to palpation, percussion and probings. CBCT shows the radiographic findings from multiple angles. Sagittal slice shows complete obturation with no missed lingual canal. 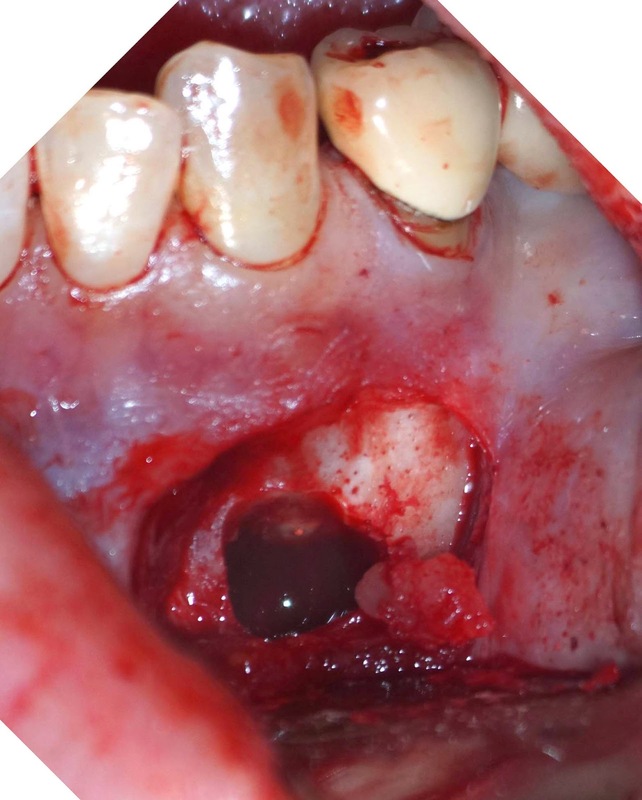 DX: Prior RCT with possible periapical cemental dysplasia. Apical surgery recommended with biopsy. 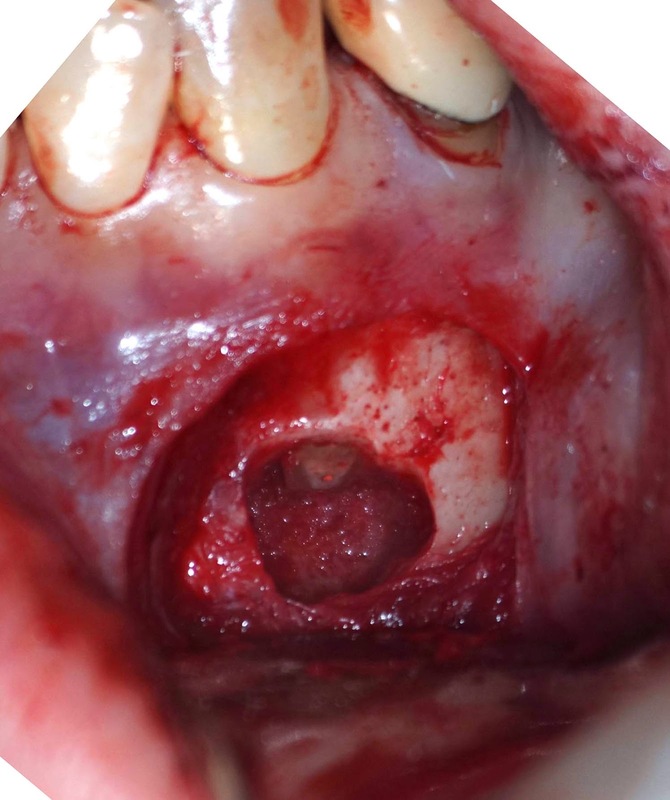 Biopsy report indicated Periapical Cemental Dysplasia (anterior focal osseous dysplasia) Recurrence would be unusual, but other areas of dysplasia can arise as well as truamatic bone cysts are also common. That is the nice case report but I have a few questions. 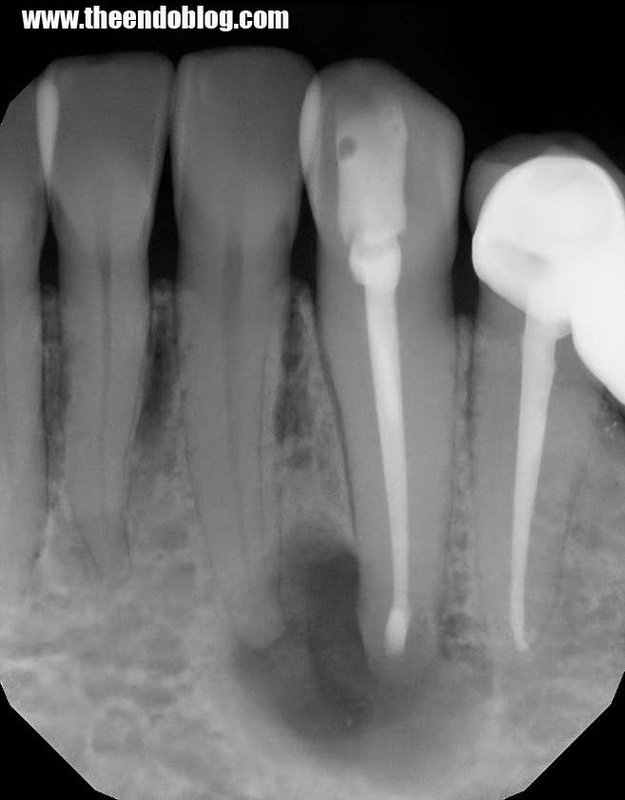 Why this tooth was root canal treated? 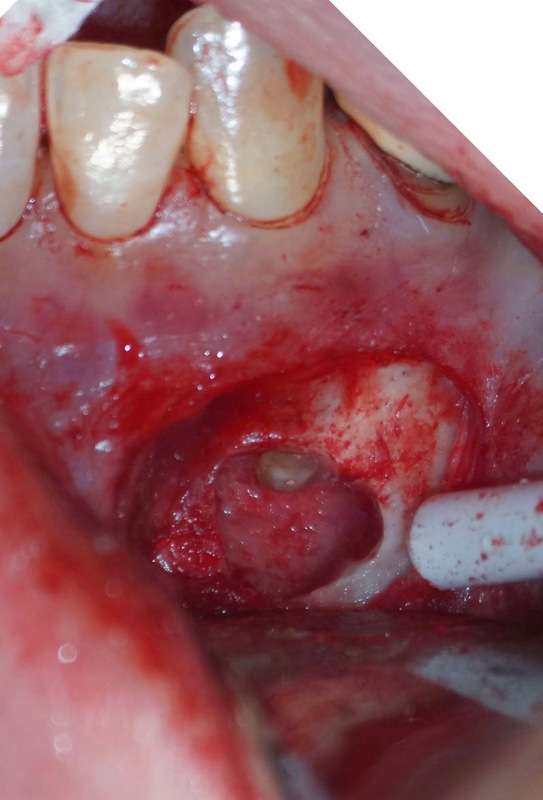 What was the diagnosis of this tooth before the RCT? And If the lesion is fibro-osseous lesion, the apicoectomy and retrofilling is necessary or not? Surgical enucleation is enough or not? Great question! The RCT was done years before by another dentist. I do not know what the diagnosis was at that time. Surgical intervention is recommended for the tooth with suspected periapical cemental dysplasia. That said, I would agree it would be reasonable to enucleate only, and monitor.